Sharp pain while eating cold foods could be the breakdown of tooth enamel or a cavity. Sensitivity to hot foods could result from an abscess, crack in the tooth, or severe decay. Pain while chewing may stem from a tooth fracture or decay. An ache in the jaw may be caused by impacted wisdom teeth, temporomandibular joint disorder, or bruxism (grinding). Pain spread through all teeth could be a symptom of serious sinus infection. You need an expert to accurately determine the real cause of your toothache: a dentist. Great Falls VA area residents are discovering that Dr. Ansari fits the bill of a dental expert whose unique qualifications, skill, and commitment to patient comfort and satisfaction are winning her accolades from people all over Virginia. Make the trip to Potomac Falls to see what the best of modern dentistry has to offer. 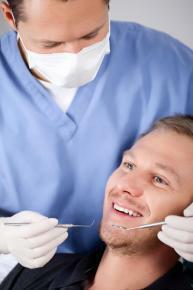 Why take chances when a dentist so near Great Falls VA can take care of any and all your dental needs? Call Dr. Ansari today. Dr. Ansari provides quality, compassionate care by a dentist for Great Falls, VA, Potomac Falls, Sterling, Ashburn, Herndon and Leesberg, VA.